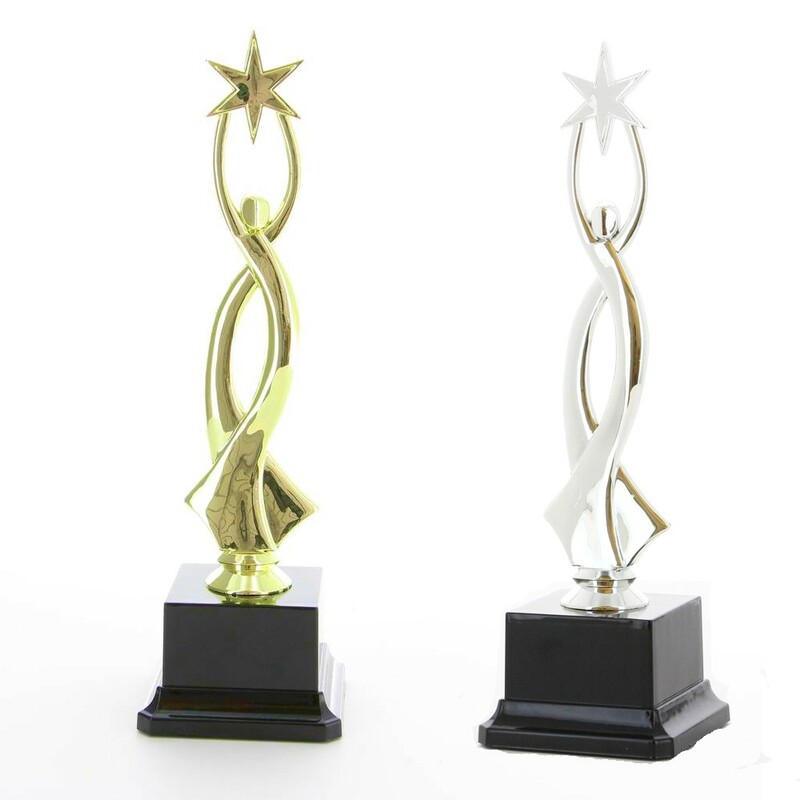 10 inch high Any Sport/Event Star Achievement Award. The figurine is available in gold and silver and comes on a weighted black base. Each trophy comes with a free engraved plate with your required text.